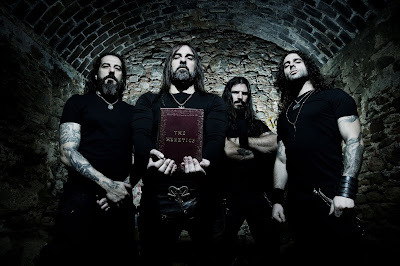 Greek black metal veterans, Rotting Christ, have unveiled a new single for the song ""Ветры злые (Vetry Zlye)," featuring Irina Zybina (GRAI). The song is taken from their upcoming studio album, "The Heretics", out February 15th via Season Of Mist. Pre-orders are available here. The video premiered through Satanath Records.